A Dickens of a Company……sometimes we ask for more! We do One Thing Very, Very Well! 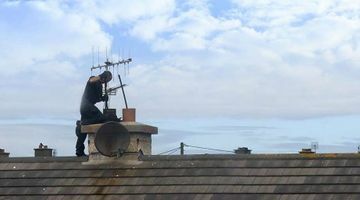 As a family-orientated business, our technicians make chimney cleaning an experience you won’t soon forget. Trust our professionals in Oakville. Keeping your chimney clean of dirt and debris is essential for keeping yourself and your home safe from fires, but we’ll admit, it’s not a lot of fun. 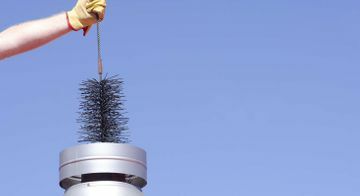 At Oliver Chimney Services, our WETT (Wood Energy Technology Transfer)-trained technicians perform a necessary, potentially life-saving service. Oliver Chimney Services is known throughout Oakville, Ontario, for capably providing various cleaning services like chimney sweeping and wood stove cleaning, but we also provide wild animal removal. We’re experienced in meeting your home upkeep needs like oil and gas furnace cleaning, too. At Oliver Chimney Services, we carry parts for most appliances. 24/7 Plugged Chimney Clearing to keep your home safe! Always concerned with your convenience, Oliver Chimney Services stays on call 24 hours a day for our gas appliance customers who have plugged gas or oil chimneys. If we do not pick up the phone when you call, our answering service will immediately forward any message to us. At Oliver Chimney Services, we aim to keep you safe in your home and satisfied with our level of service, not to mention entertained! As a family-orientated business, we’ve put more than 40 years into connecting with our community. Our owner Rick has offered exemplary chimney cleaning services – all with a smile. 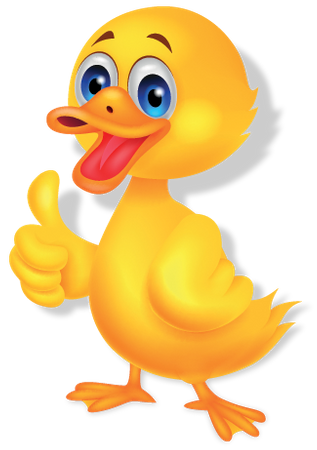 And he goes a great Donald Duck impression to boot! We are professional, personal and funny while being honest, trustworthy and fair. These are our core principles and we stick by them no matter the job – big or small. Give us a call to learn more about our services in Oakville. You can also find us on Facebook. 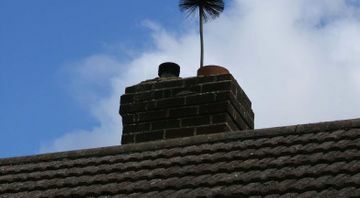 Why Risk a Chimney Fire?